UAV (Unmanned Aerial Vehicle) photography and photogrammetry has long been a balance between weight and the quality of the camera equipment carried. Low cost camera solutions such as the GoPro can be carried on almost all UAVs because they are small and lightweight, but these benefits are also drawbacks because limited size/fish eye lenses and small image sensors reduce the quality of the photographs they take, together with this the lack of control of many of the camera settings is a drawback. 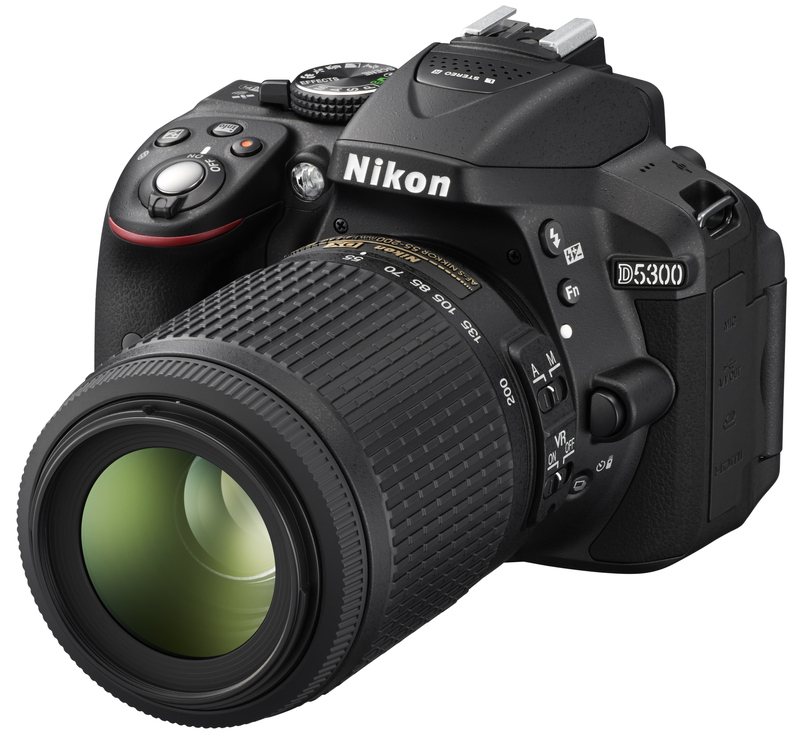 High quality DSLR (Digital Single Lens Reflex) cameras have superior quality lenses and image sensors together with the fact that they have extensive control of the camera settings meaning that they take much better photographs. But they can only be carried by much higher power/cost octo and hexo-copter systems. 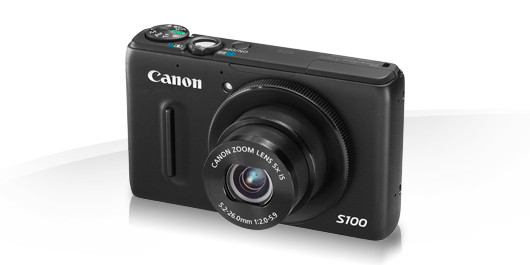 One solution is the lightweight point-and-shoot camera/compact camera used in some mapping solutions, such as those provided by 3DRobotics (Canon PowerShot S100). Although these cameras provide a better quality solution than the GoPro, and may be all that is required for mapping exercises; they are still limited in their optics and higher megapixel sensors which are much more important in the recording of complicated structures and photogrammetry work. Changes in the camera industry due to competition from the phone industry has enhanced development of a different solution. 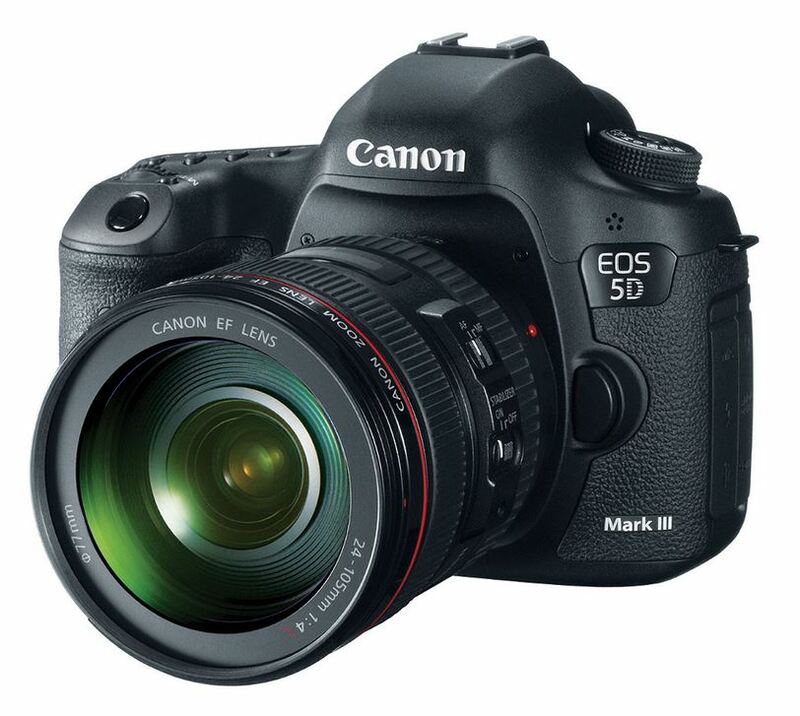 This is the MILC (Mirrorless Interchangeable-lens camera) or DSLM (Digital Single Lens Mirrorless) Camera. These cameras don’t have the mirror reflex optical viewfinder of a DSLR camera, and the associated weight, replacing it with a LCD screen or with an app on a mobile device which controls the camera. As a result they have the capability to carry high quality interchangeable lenses without the weight associated with DSLR cameras. The system comes in two different forms; the first resembles a standard digital SLR camera, while the second resembles just a lens with all control being provided by an app on a mobile device. 3DRobotics UAV Mapping Solutions, discussed in another blog entry, carry the Canon PowerShot S100 digital compact camera. UAVs come in a number of different configurations and increase in price with a higher level of complexity and ability to carry heavier loads. 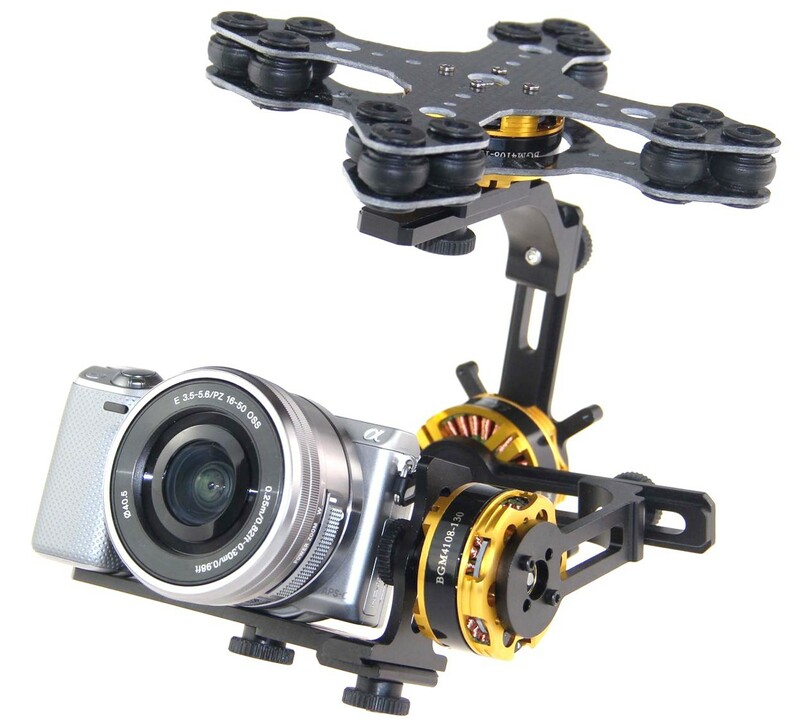 Gimabls are an important element in stabilizing cameras during photography and video recording, as well as providing a motorized solution to move the camera to a desired angle during flight. They can add significantly to both the weight and price of any UAV solution depending on the camera equipment they are carrying. The 3DRobotics Iris+ Quadcopter has a payload capacity of 400g which would allow a rather small 15g for a mount to attach a Sony A5000 DSLM or 68g to attach a Sony QX1 Lens-Style Camera without weighing too much, although the system could be flown with excess weight reducing the flight time. A downward facing 3D Printed Sony A5000 Mapping Mount is available for both the Iris+ Quadcopter and X8+ Octocopter, it weighs 36g. 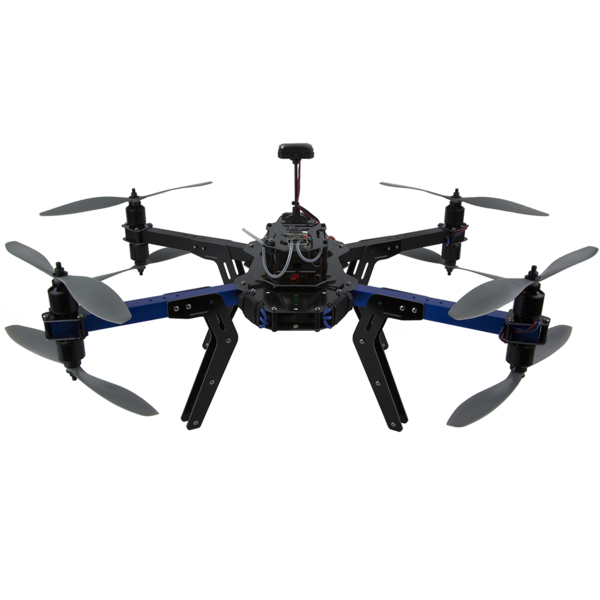 Although the X8+ is a octocopter by definition, it gets over the intrinsic problems of size, weight and cost caused by eight separate arms by having two rotors on each arm, one pointing up and the other downwards. With a maximum payload of 1KG it can carry a Sony A5000 DSLM camera (388g) together with a gimbal such as the DYS 3 Axis Brushless Gimbal for Sony NEX size cameras (609g) to support and move it, the gimbal is designed for the NEX range of cameras, but they are almost identical to the A5000 in design. Although a lighter mount could be used. The mirror-less camera would seem to provide a solution to the problem of how to carry a high specification camera capable of capturing high quality images on a fairly low-cost UAV solution. producing a rectangular 360º product. The 360 lens video publisher software gives the ability to sharpen, brighten, add contrast and reduce video noise and output the video as a flv, mov or avi file in various compression ratios. The software costs $99. The Eye Mirror attaches to a DSLR (Digital Single Lens Reflex), video cameras and underwater cameras, it screws into the camera filter thread on most cameras although adapters are available. 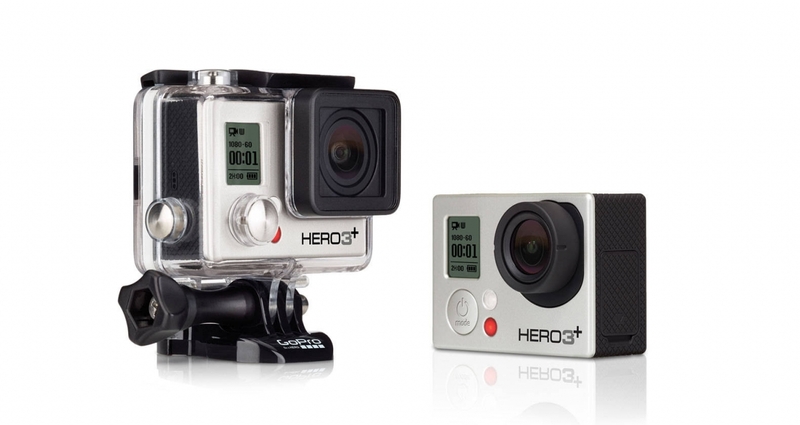 The GP 360 is designed to work with the GoPro series of camera, although a modification to the GoPro is required. 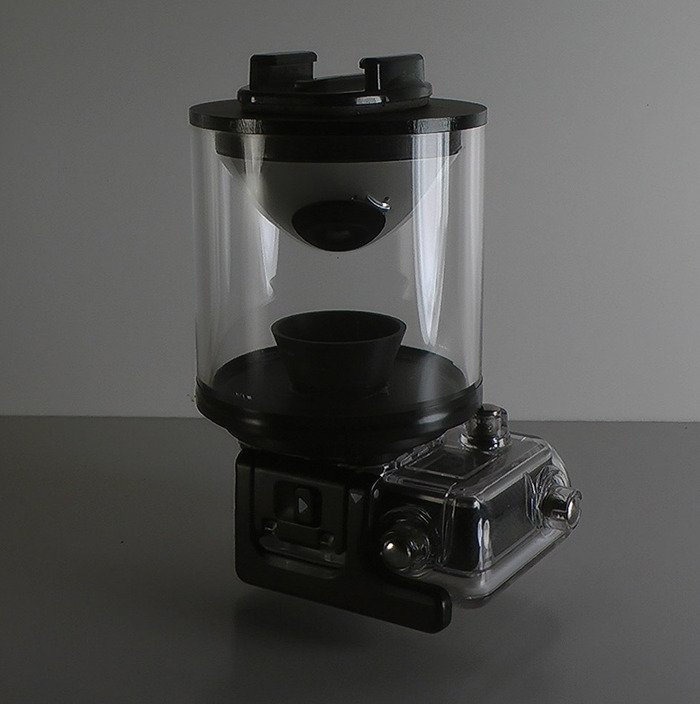 This is a sealed version of the lens designed for underwater work and can be screwed onto the front of many underwater cameras. The system provides the ability to record 360º photographs/videos with existing cameras, enabling the immersive viewing of both Archaeology site and Cultural Heritage. The created photos/videos can be viewed in a number of ways including the Oculus Reality VR (Virtual Reality) headset. In order to use the GoPro lens the camera lens needs to be replaced with a custom replacement lens provided by the company, although if damage is sustained during the process the company will fix the camera, or the company will do the replacement for a fee of £40. A firmware update needs to also be conducted.